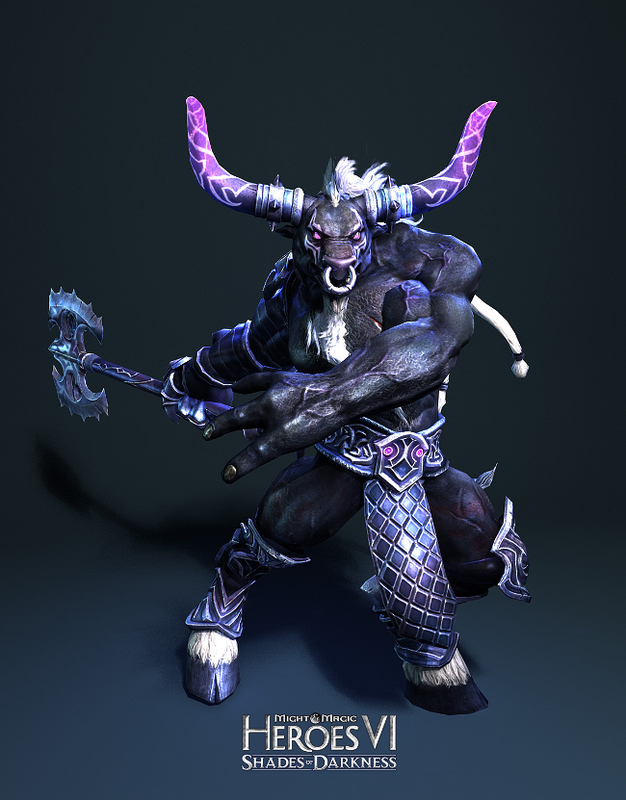 You could also miss Akasha hero, as he was available for Ubisoft Digital version (was not included in CE). Edited by Storm-Giant at 17:53, 11 Feb 2013. Today, we unfortunately have to announce that the release of Might & Magic Heroes VI : Shades of Darkness, as well as the Complete Edition, have been postponed. 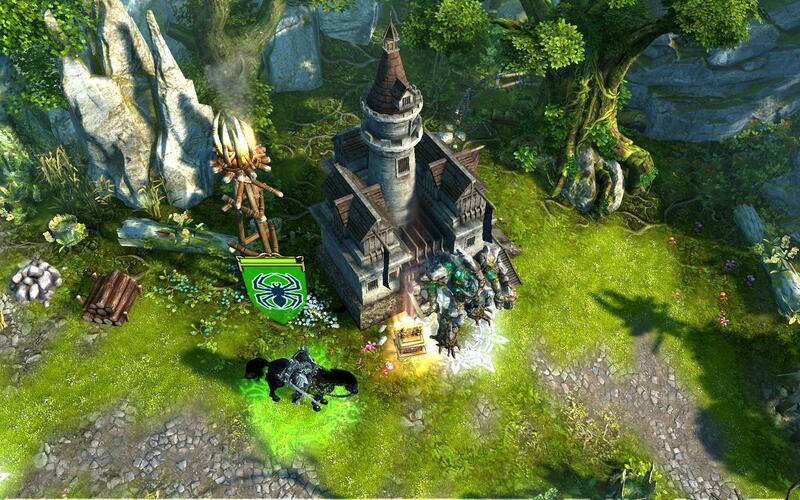 The Standalone expansion to Heroes VI and the Complete Edition will arrive in both digital and retail distribution on May 2, 2013. We know that for many of you two additional months (is a long period of time) (or: �seems an eternity�) and that this announcement is obviously disappointing. However, this extra time will allow us to ensure a top quality game experience as we want this Standalone expansion to meet your high expectations. Meanwhile, we will continue to share more information about the game on our official channels. Please accept our apologies for the delay and be sure that the Might & Magic team is working hard to deliver the game experience you are looking for. Thank you for all your support and patience. To help time go by faster, try to survive the infamous succession wars in the map based on the original Might & Magic World of ENROTH which will be offered to everyone within a week. As announced last week, a new map is now available for everyone! Play it NOW! After the death of Lord Ironfist, the kingdom of Enroth is torn apart as his two sons, Roland and Archibald, fight each other for the crown. Archibald has already claimed the throne, forcing Roland into hiding. As the general of Roland's army, it's up to you to turn the tide and reclaim the throne of Enroth! To start the map, go to Custome Campaign > Scenario > The Succession Wars and enjoy it! Edited by Storm-Giant at 13:36, 12 Mar 2013.
there are some good news about Nvidia issue. Back in July 2012, when the revamped townscreens were introduced, the dev team used a specific rendering method to support pixel-precise selection of the buildings. This method at the time worked just fine with the current Nvidia drivers� version. No related crash was detected, neither by our tests or the community, since the method was supported. In October 2012 Nvidia released a new version of drivers that changed the support of a few methods for some Nvidia devices, leading to the so-called Town Screen crash. This affected several other games across the board, not only Heroes VI. The issue was difficult to pin-point as it had a quite unpredictable reproduction step and unreliable reproduction rate. For many months the M&M team has investigated hand in hand with Nvidia teams, until we came to a breakthrough two weeks ago. We have now fixed our rendering method and so far the fix seems to be rock solid. We still have some tests to run on our end and we hope to be able to release the 2.0 patch beg of April. We apologize for the time it took to find and fix this issue, and we really hope you will be able to enjoy once again Heroes the way it should be. In the meantime, please roll back to Nvidia drivers 301.42 until the release of the patch. Hey Ubi_Irina, can you tell us if the 2.0 patch will be limited to fix the townscreen issue, or will it bring more changes & fixes? No more changes have been planned, sorry. I will keep you updated on this topic! Hello, sorry, my mistake, the dev team will indeed fix some other bugs. The list is not available yet, I will share it with you by April. I have just checked out with the dev team and it seems that it is indeed possible to include some bug fixes in the list of the upcoming patch. I will be able to share the final patch list with you by April. In the meantime, please, report the most annoying bugs and the dev team will have a look at it and say if it is possible to fix it or not. Edited by Hermes at 07:33, 03 Apr 2013. Edited by Storm-Giant at 20:15, 14 Apr 2013. Patch 2.0 has been cancelled in favor of another one called '2.1', which'll fix over 200 bugs and weight almost 2 GBs. I'm pretty sure it will be like 1.5 & 1.7 patches, which contained the Adventure Packs stuff, so this 2.1 should contain the Expansion stuff. Edited by EvilP at 09:03, 16 Apr 2013. Edited by alcibiades at 08:22, 18 Apr 2013. Same as the one above except for the 5:49-6:21 part, maybe this is the full version of the video. I am having consistent crashes in attempting to play one of the custom games (dire straits). The crash is occurring on day 3 during one of the opposing hero actions. I am playing with patch 1.80. Any suggestions as to how to get through this so that I can play the map? Please, report your problem on the bug reports thread and leave this topic just for news of the game. Edited by Storm-Giant at 23:08, 23 Apr 2013. Edited by Hermes at 16:50, 24 Apr 2013. I'm kinda disappointed. I had such high expectations for this patch. If you read carefully you will notice that the fixes are rather minor and the most important ones that are totally rebalancing the game are left 'alone'.